The windows in your home play a key role in your comfort, and they have a direct impact on your energy bills. Sage Builders LLC can help you choose and install energy-efficient windows that will improve the comfort of your home and save you energy dollars for years to come. There are many terms used to describe windows. The U-factor defines how quickly non-solar heat passes through the window. A lower U-factor means a more efficient window. The solar heat-gain coefficient, or SHGC, is a measure of how well solar radiation is transmitted through the window. Higher SHGC means more warmth from the sun, which would be good on cold days, while the lower SHGC is better for warm days. Visible transmittance is how much daylight is allowed in, and it’s used in a ratio with SHGC to determine the light-to-solar gain. As the light-to-solar gain increases, you will have a higher level of daylight without having additional heat from the sun. These terms are all by-products of the window design. Window glazing, such as heat- or light-reflective coatings, affect the SHGC and visible transmittance, as well as the light-to-solar gain. Low-e coatings can be applied to either the indoor or outdoor side of the window and help to reduce the U-factor. 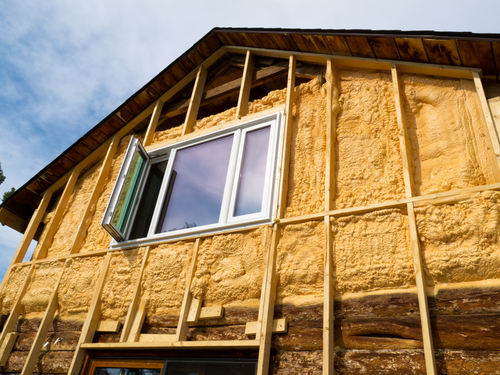 Having the coating on the indoor side will help retain heat in the winter, which will help you keep the energy usage in your Boston area home low. Installation of energy-efficient windows is also important. Sage Builders LLC can make sure your windows are properly installed and sealed for maximum efficiency. Contact us for more information about energy-efficient windows or for other renovation and construction questions.